It is now considered "normal" to live paycheck to paycheck. This leaves no room for error, or in the case of a surprise bill, is a ticking time bomb. We're getting to be just one accident away from financial hardship. Most of the time that looming over our heads is a form of poverty in itself. On average, a normal American family has a little under $4,000 in the bank. There is no retirement account in half of our households. The other half has only around $35,000 saved for retirement. The average family makes roughly $45,000 a year, but carries with them a $2,000 credit card debt. A quarter of the American family not only is devoid of retirement savings, but any savings at all. On average, though, the American household has over $100,000 in debts. All together we as a people hold $2 Trillion dollars in debt! That's $2,000,000,000,000! With this kind of debt building up for our hard working families, we all need to put a handle on our spending, and work towards paying off this huge, ever-present, and increasing debt. I hope these 10 spending suggestions can help us actually start saving for retirement and/or help us pay off all the debt we've been accumulating for far too long! Don't only have a rough estimate of where your money goes. If you don't sit down and actually inventory all of your spending, you're probably spending more than just a few bills you can name offhand. If you're not a fan of just sitting down and writing down all your expenses through at least 3 months, there are apps and websites you can visit to type up a spreadsheet or work on your finances while you're busy running around. Working towards savings has to start with building your budget, I just hope you're not plugging numbers in while driving! Don't spend more than your budget allows. After you've made your budget, look back over those expenses, and start "trimming the fat." No matter how much or how little you make, chances are you can save more by just changing your spending habits. Remember that there are people out there living off of LESS than you are right now, so there is always something you can cut back on or realize you don't need at all. Don't be swayed by salespeople or their sales pitches. Companies and businesses spend millions on advertising and sales psychologists, all to make you think you want their product. When someone says buy 1, get 1 free, you have to think of the price of the goods and how much they're charging. The best value may be just to skip out on the product. Make sure you shop around. There are a lot of companies who fight for your allegiance. In order to win the war of your hard-earned money, many are prepared to offer you the same great service for less than others. It is in your best interest to shop around to make sure you're not overpaying for something that someone else will give you for a cheaper cost. Avoid high-interest rates at all costs. It is imperative that any debt you accumulate has to be put in the lowest interest possible. 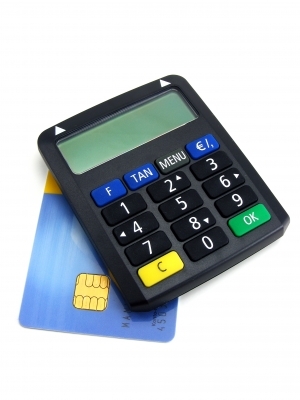 Most credit cards have interest rates of 15-30%, but have a 0% introductory interest rate to get you hooked. If you can pay your debts off in that introductory period, take advantage of the low interest, otherwise it's just another sales pitch that won you, and your money, over. Keeping a balance on your credit cards. If you get stuck in this hamster wheel, it is often very hard to get out of. Each month that you pay on this credit card, another round of interest will count against you, until you end up paying more for your interest than the actual debt! Avoid this trap at all cost. Carrying a credit card balance with high interest rates. When you carry a credit card balance, you pay a high rate of interest. Every month that you have a balance, that is another month that you have to pay interest that does nothing for you. This trap is a vicious cycle that continues to spiral you down deeper into debt. Living beyond your means, such as an expensive house you can't afford. Everyone involved in selling and financing houses are trying to make you buy the house. It is as simple as that. They don't have to pay the bills, but they assure you that you can afford it. They just want to make a sale. They don't care about YOU or how you will make the payments. If you can't make the payments, and you have to foreclose or get more loans to pay it off, they win. With property and houses continuing to lose value, salespeople are in a greater rush to get someone else to pay for those places. They may make you think that your home is worth sacrificing everything now and making you poor in every other facet in your life, but you must resist their sales pitches. Don't make a rash decision that will hurt your financial situation in the long run. It's better to have a smaller home and the ability to furnish it and enjoy your life than to have a big home and a mountain of debt it's built upon. Don't use your home equity loan to pay off any other debts. Many lenders will try and sell you on this scheme to pay off other things, when in reality this only compounds your debt. This will only work if you stop making more debt on things like your credit cards. If you continue to swipe your cards you will have to borrow more from your home equity, which increases your monthly payments. Just like the above point, this is a sales pitch to make you pay the creditors more money. This is a great option if you use it in emergencies, but only if what your paying off will stay away forever, leaving you to pay back what you borrowed with the extra income. Make sure you plan ahead and use caution with this method. Using careful planning and real expectations from your financial status are the only real ways to prevent going in to debt. If it means sometimes you have to sacrifice certain things and not be able to keep up with the times or have the latest gadgets, it will be better in the long run than having credit card debt for 20 years on a product that will go out of style in under a year. It can be very hard to practice patience and discipline in this world of reckless spending, but the benefits outweigh the negatives of becoming a victim of debt. Payroll Builder is an online payroll service, which makes it simple to use and easy to access. To employers who have workers out on work sites, with a single purchase you can have your employees clock in from their phones and you will be alerted to where exactly they where when they clocked in. We want to serve the Natural State, and are ready to serve you in Fort Smith, Little Rock, Russellville, Fayetteville, and everywhere else in Arkansas and the U.S. Visit our website for more information!